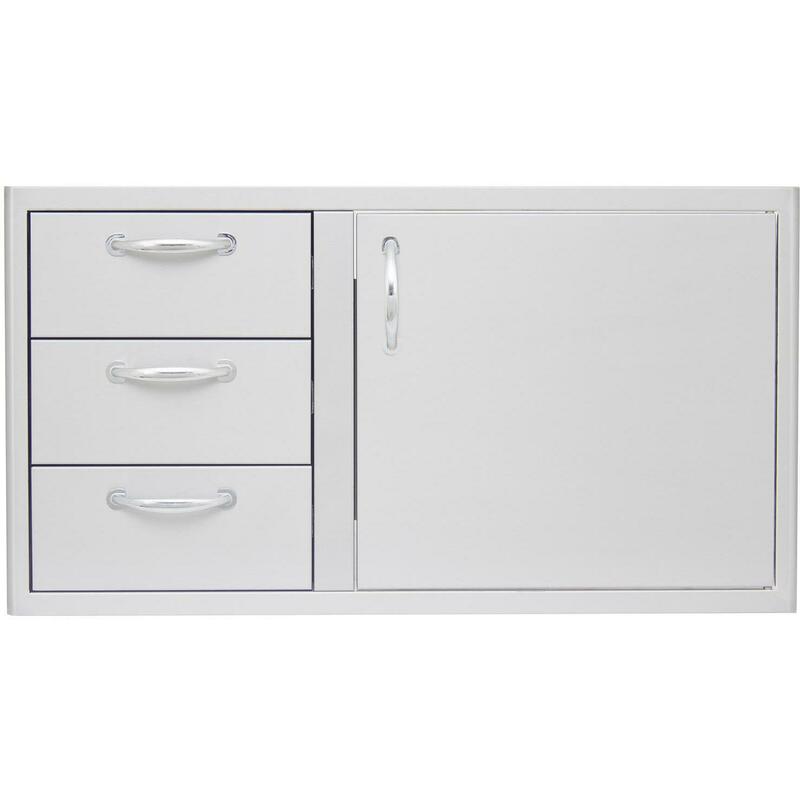 Product Description: Blaze 39-Inch Access Door & Triple Drawer Combo - BLZ-DDC-39-R. This Blaze door & drawer combo features commercial grade 304 stainless steel construction for withstanding outdoor elements and a unique completely rounded bevel design which enhances its appearance. The double-lined access door and fully enclosed storage drawers are accented with curved handles to match other Blaze products. The three drawers feature heavy duty drawer slides for smooth operation and are great for storing your BBQ tools and utensils. Blaze access doors and drawers are the perfect storage solution for any outdoor kitchen! 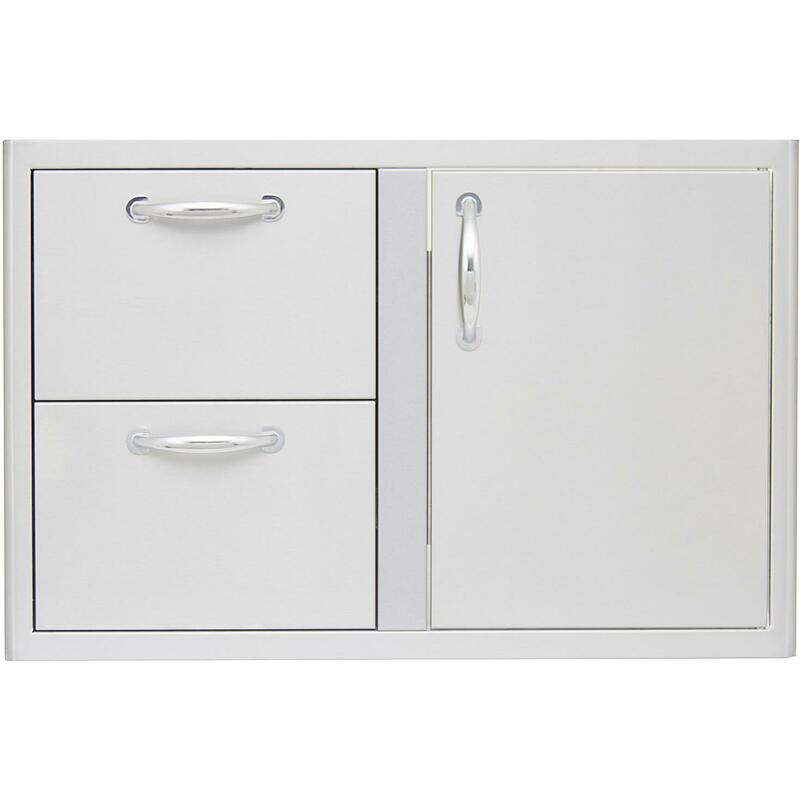 Access Door dimensions (in inches): 19 1/4 W X 18 3/4 H. Drawer dimensions (in inches): 12 1/2 W X 5 3/4 H.